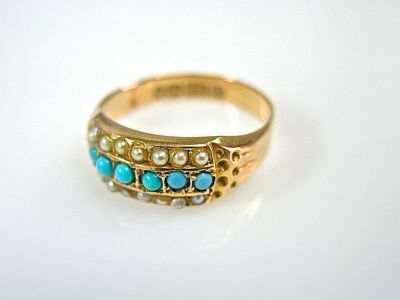 One 15 karat yellow gold Victorian ring. Six turquoise beads. Fourteen seed pearls.